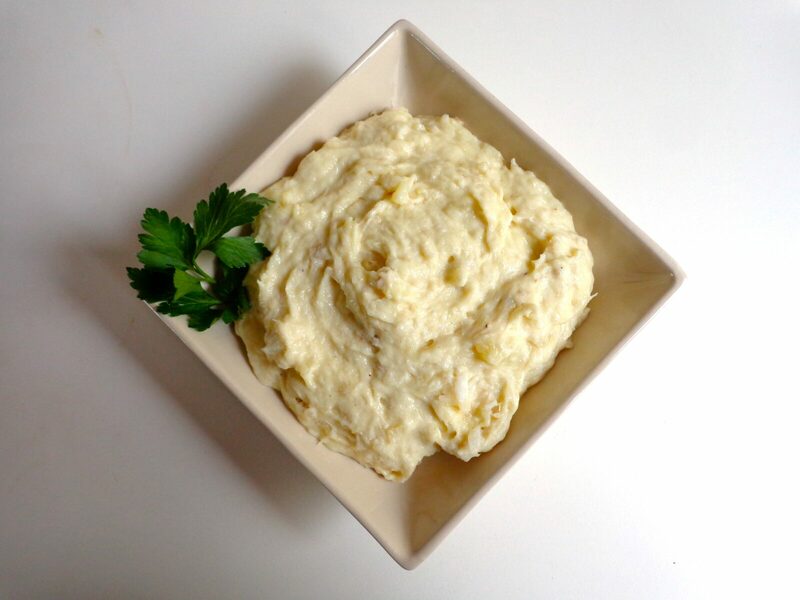 How to reconcile brandade de morue, one of my favorite winter dishes, with the modern era? A sublimely satisfying purée of salt cod, garlic, olive oil, and milk or cream, with or without potatoes, it has traditionally involved 24-36 hours of desalinating the fish and the use of a mortar and pestle to achieve the final blending. Not ideal for an everyday French chef who may be pressed for time. But now, with the wide availability of fresh cod and the use of an electric blender, making a fine brandade can be both easy and quick. But will it still be a classic brandade? In fact, there is no such thing. As Andrée Maureau, author of Recettes de Provence, puts it, ‘Each home has its secrets.’ In the south of France, where salt cod has been a staple for centuries, truffles are often added to brandade. Sometimes garlic is used, sometimes not. Potatoes are controversial. But here in Paris, truffles are rarely seen in brandade and potatoes are almost universally included. In my recipe, I use milk instead of cream to cut down on the richness of this hearty dish. 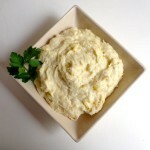 Brandade may be served either as a starter or a main dish, accompanied by a salad and a crisp white or rosé. It may be prepared in advance and reheated just before serving. Triangles of toasted white or country bread, sometimes rubbed with garlic, are often tucked into the sides of each shallow bowl of brandade. In France, frozen desalinated salt cod is now available — this lends an authenticity of flavor to the dish, while cutting down hugely on the work involved. But I have also made brandade successfully many times using fresh cod, with the addition of sea salt to approach the traditional flavor. On a separate front, a reader wrote in a few days ago to ask about the order of dishes in a classic French meal. Briefly, the traditional order is: starter, main course, salad, cheese, fruit and/or dessert. I will be posting about this at greater length in the near future. In the meantime, the Menus section above provides many suggestions for seasonal meals, including the order of dishes to be served. Happy cooking! This entry was posted in 5. Fish and Shellfish and tagged brandade, potatoes, Provence, recipe, salt cod. Bookmark the permalink.